Thanks to the great folks at Birmingham Record Collectors Travis Wammack and the Snakeman Band will be at the Gardendale Civic Center on Saturday December 6th. Gardendale is just north of Birmingham. 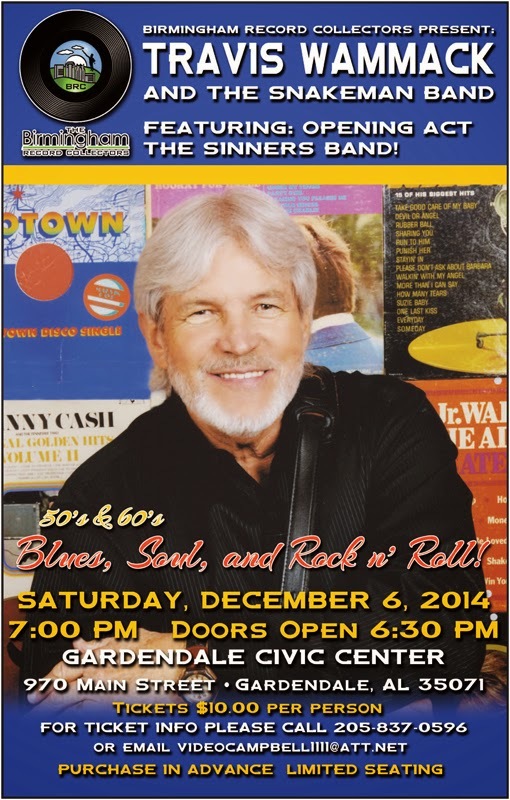 Tickets are going fast, to get yours contact Don Campbell at 205-837-0596.